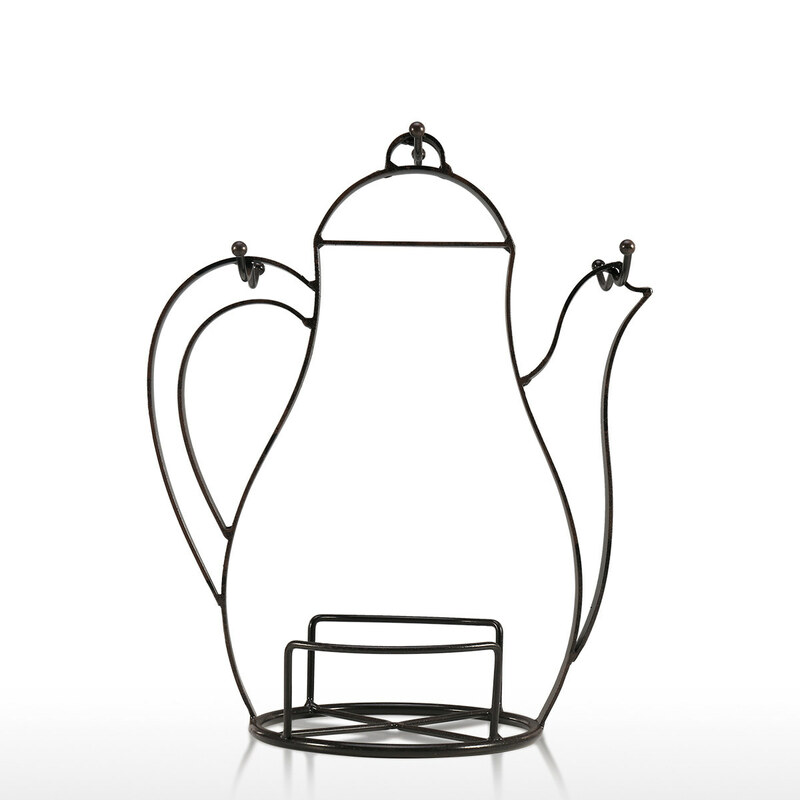 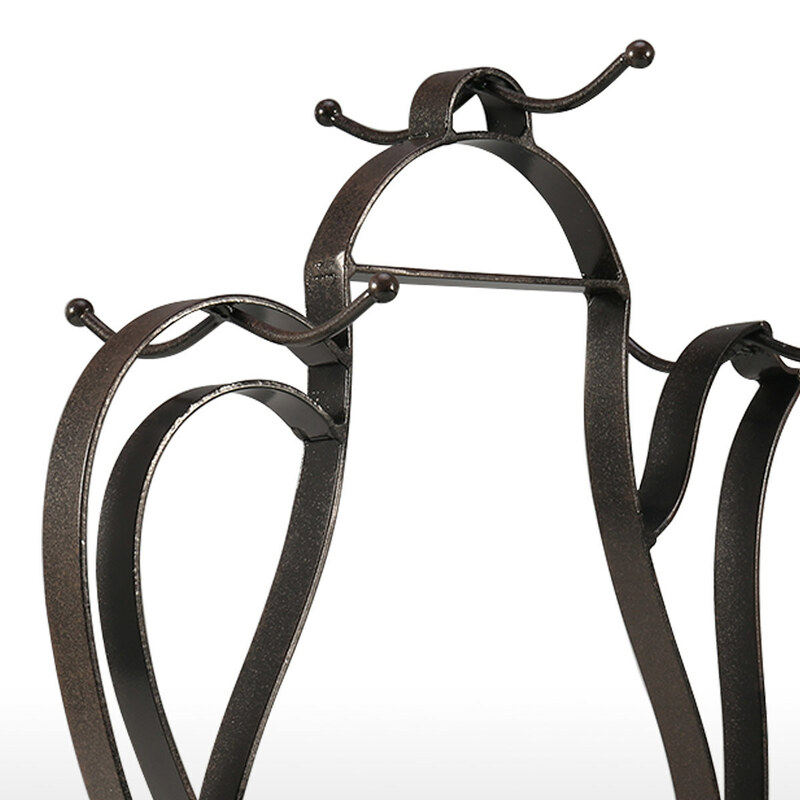 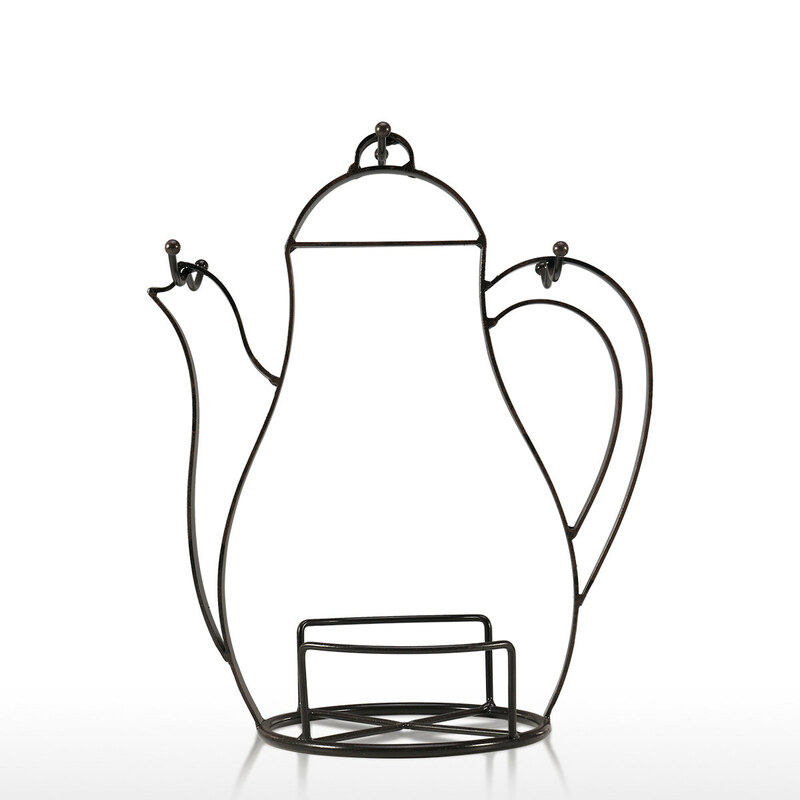 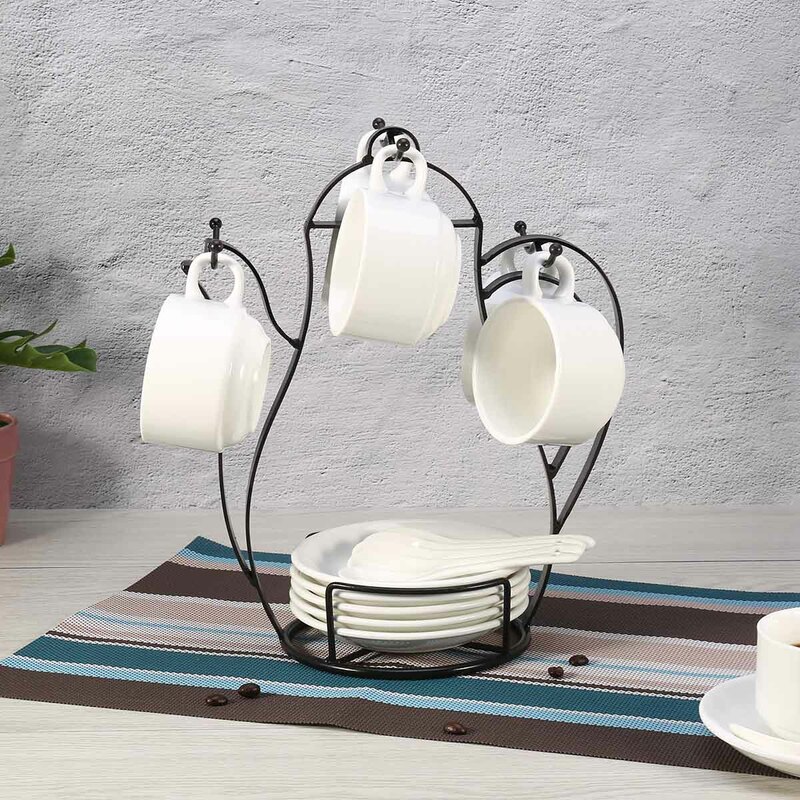 The mug stand is made of metal with rustic antique finish. 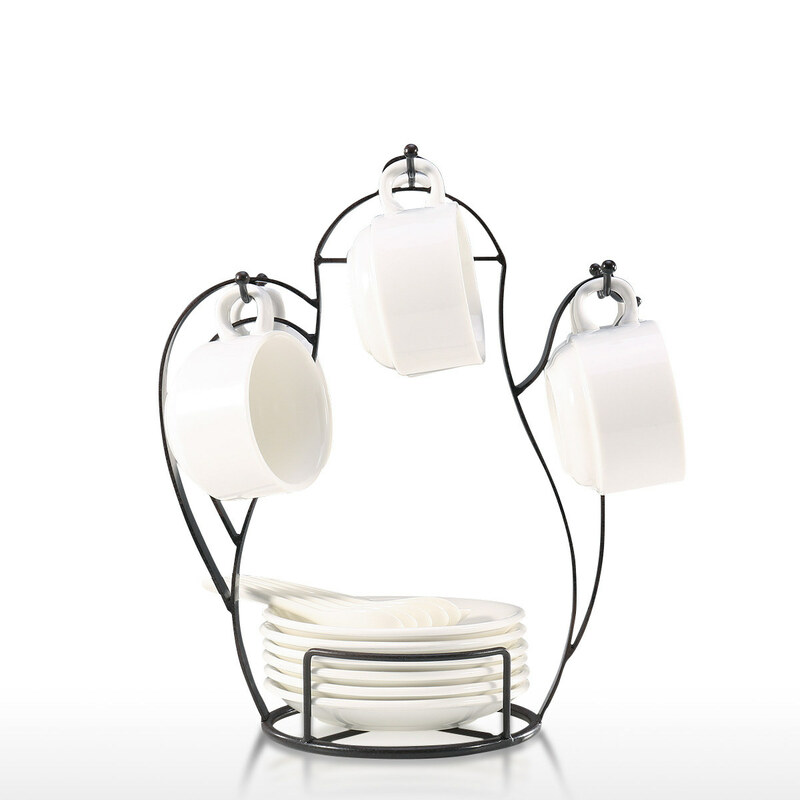 It can hold six coffee glasses or cups. 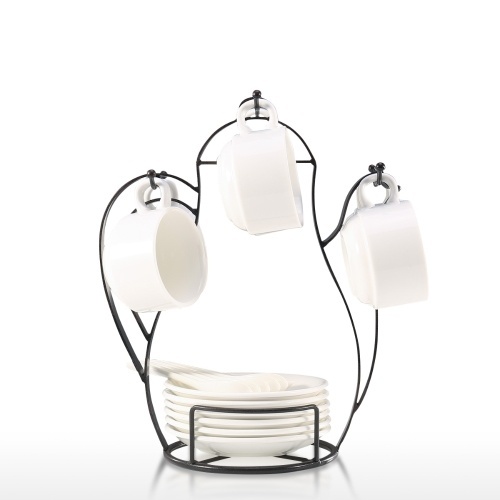 The small plates can be placed at the bottom of the stand. 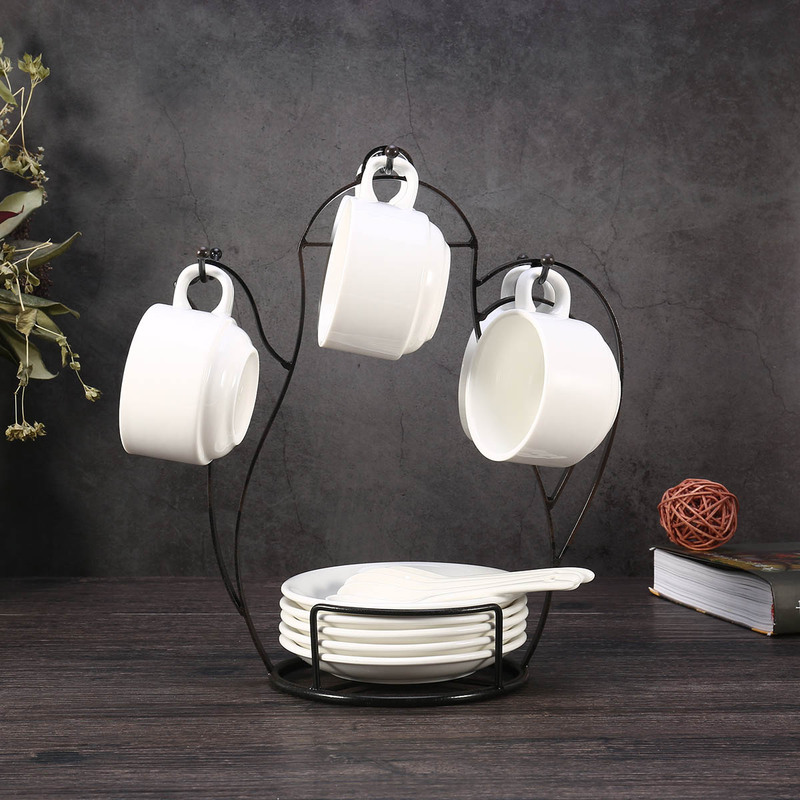 If this mug stand gets dirty from drink splatters, just wipe with damp cloth or sponge. 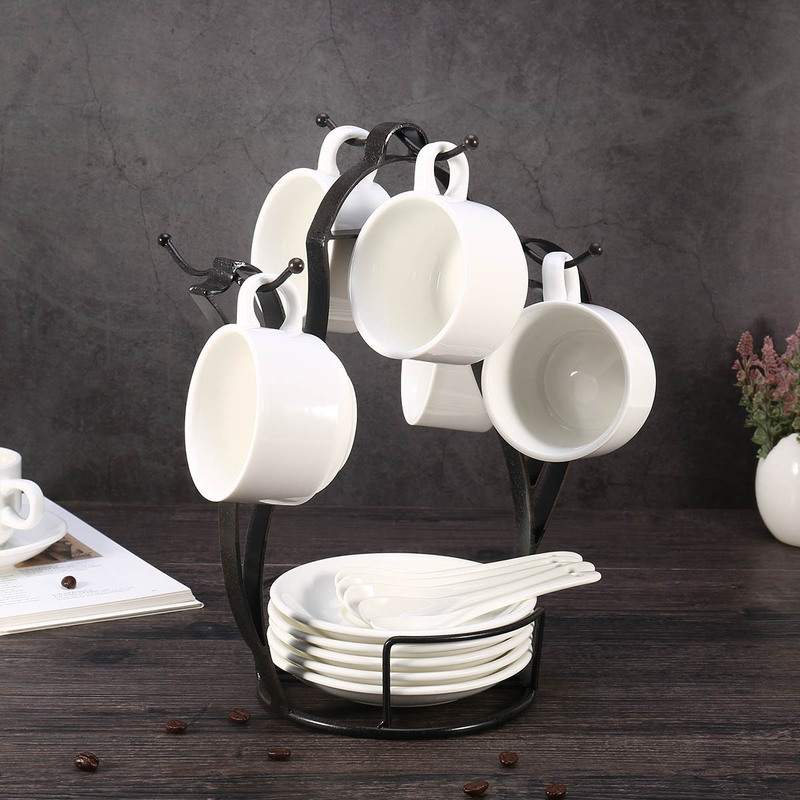 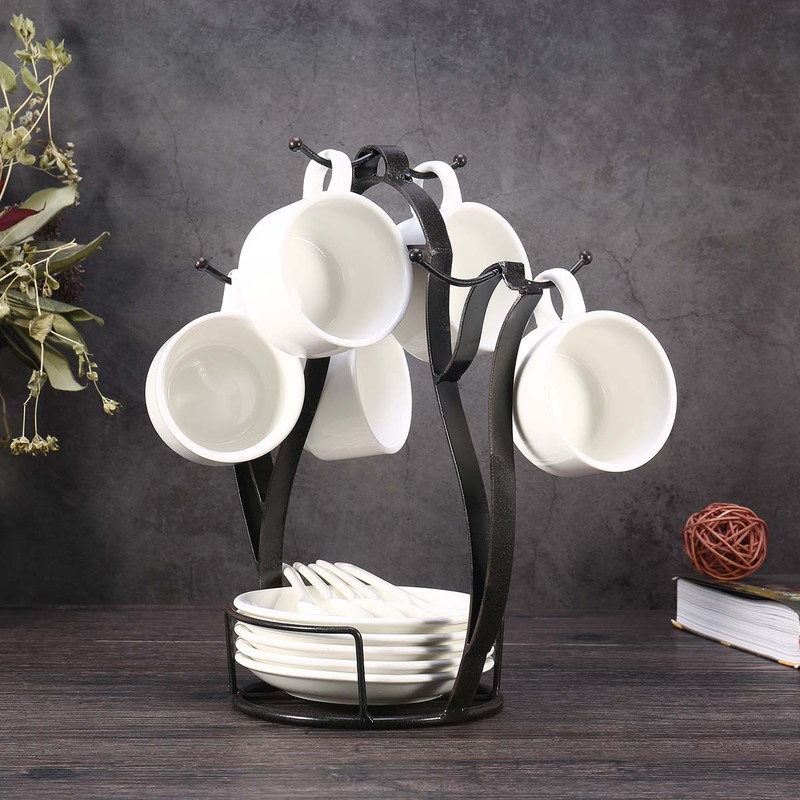 This cup hanger not only a decoration ornament but also can be used as a drying rack for hand washed cups or mugs. 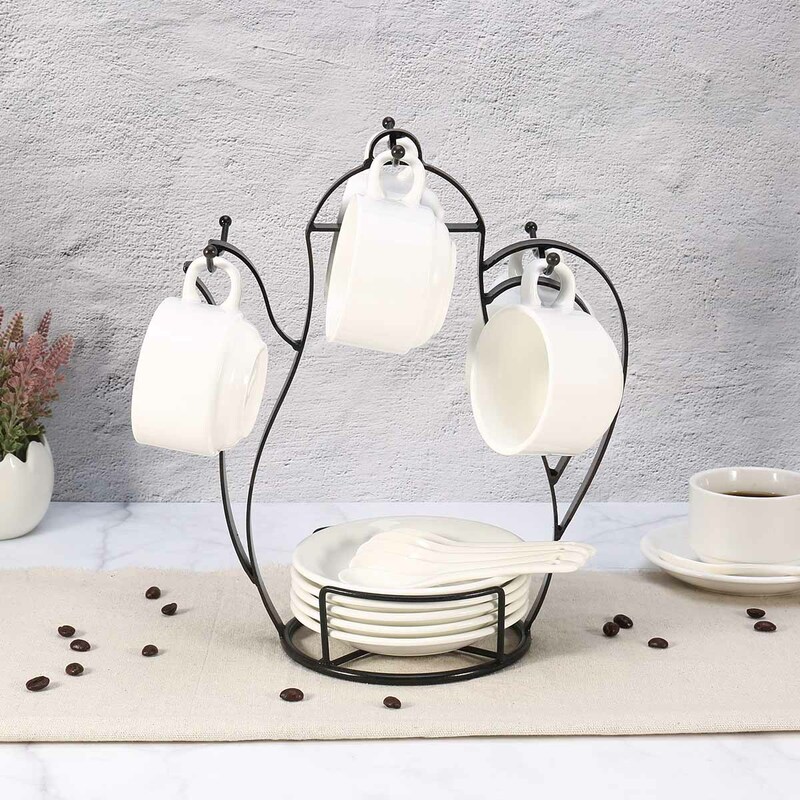 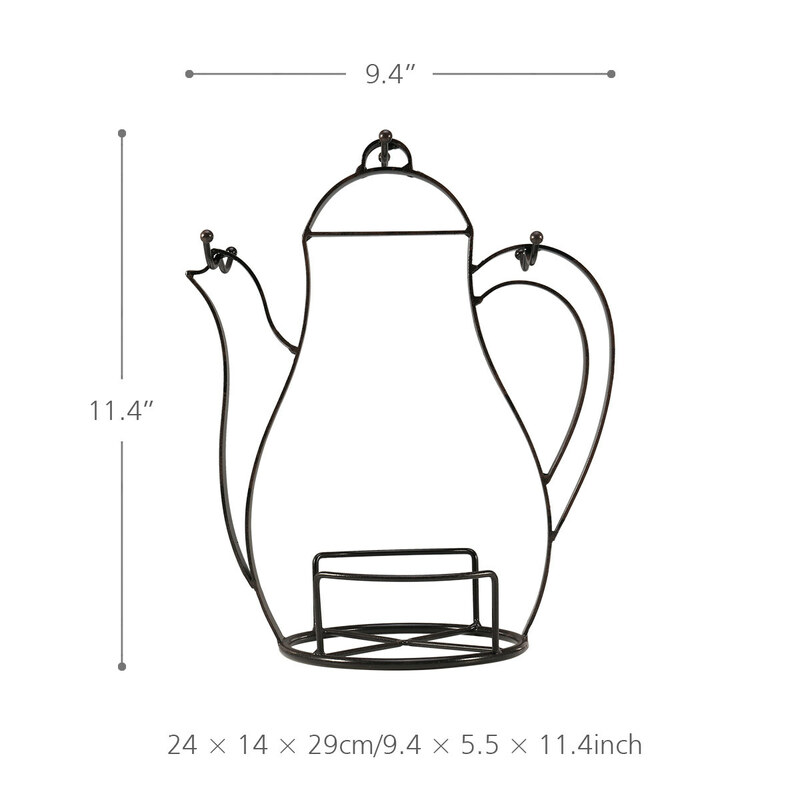 Mug stand basic info: The mug stand is made of metal with rustic antique finish. 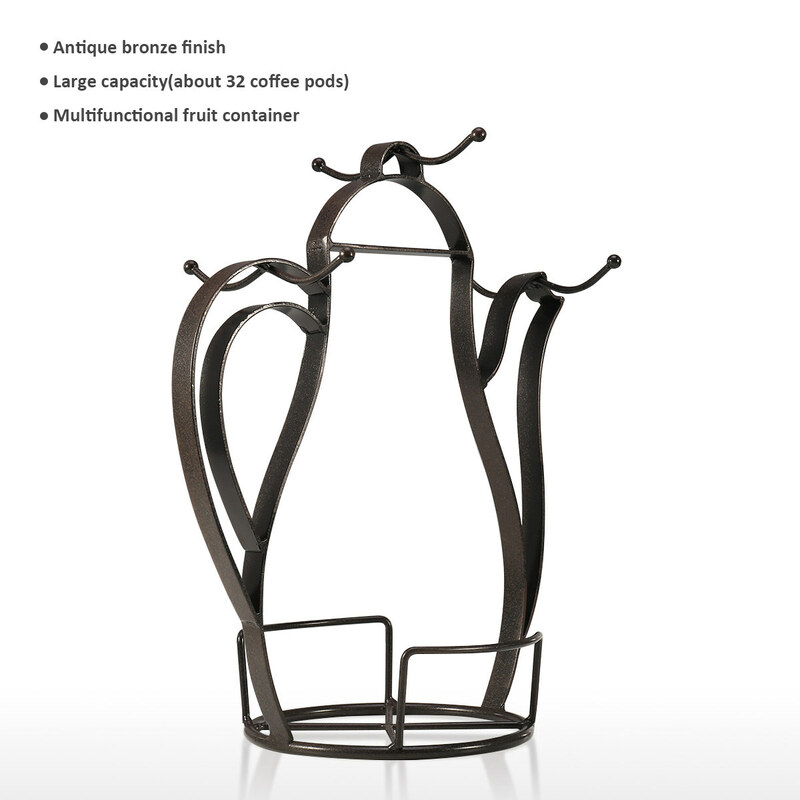 It can hold six coffee glasses or cups(not included). 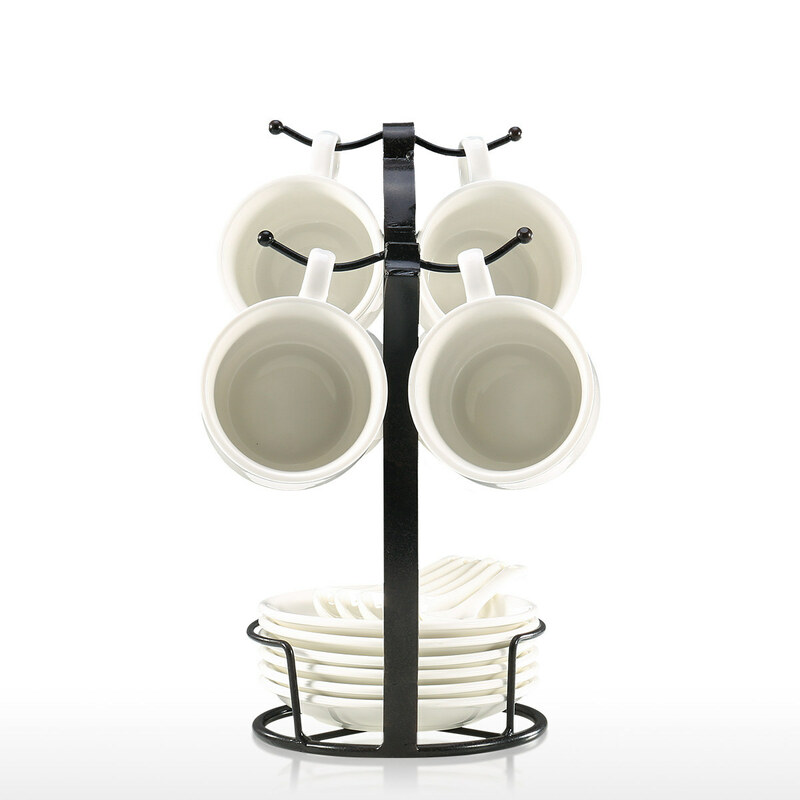 The small plates(not included, within the limits of 5 inches in diameters) can be placed at the bottom of the stand. 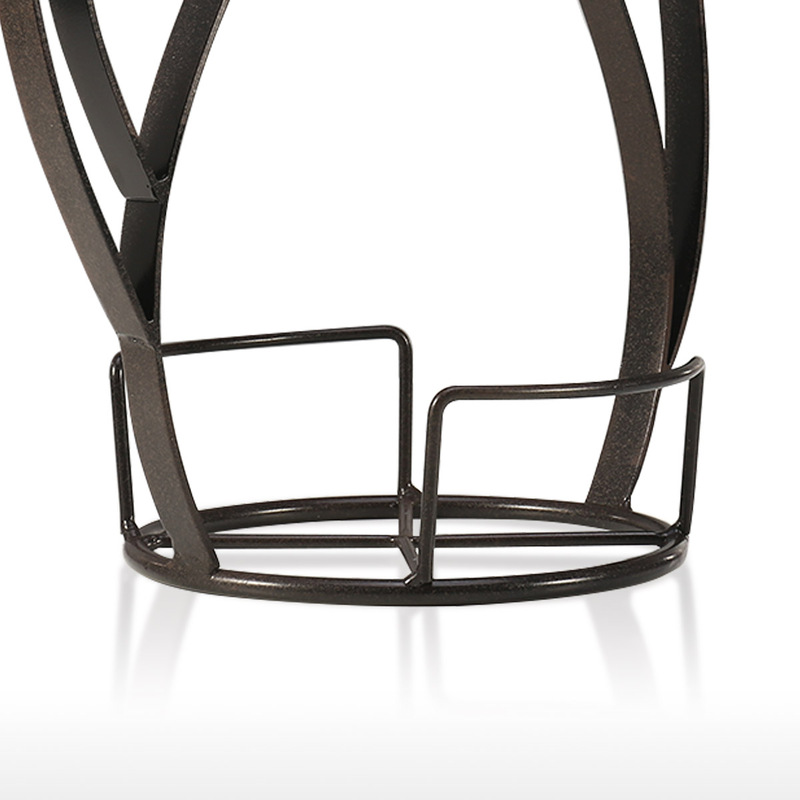 The diameter of the bottom is 5 inches.